GCD Studios Homespun Chic papers inked with ColorBox chalk inks to which I added: Real paper streamers, big brads, felt number, metal wired cord, blue cotton thread from stash; Cosmic Shimmer ink; Crafty Bitz star charm; and 'Harmony' Cuttlebug alphabet with DCWV glitter border strip. I started this mini-album at a crop with Manuéla Jamet at Carhaix. I took my 'boutique' along so a great day of selling and scrapping. It is the 2nd crop I have done with Manuéla and she is a great teacher. This album focused on using Distress Inks and, although I knew most of the techniques, I certainly learnt some new ones and loved playing with different materials and being pushed to use colours I probably wouldn't have chosen. Also, being on rings, this album gave the freedom to add pages afterwards and change things around to suit what I wanted to do. I will not copy other people's work: That is their's, not mine, but I love to be inspired and I'm pleased with how this turned out. The photo's are from my sister and bro-in-law's recent visit so we visited lots of local places and it was like a holiday for us too, hence the title. The covers are very similar to Manuéla's and the pages are both inspired by hers and different. If you get the chance to do this crop sometime, I thoroughly recommend it. J'ai commencé ce mini-album à un ‘crop’ avec Manuela Jamet à Carhaix. 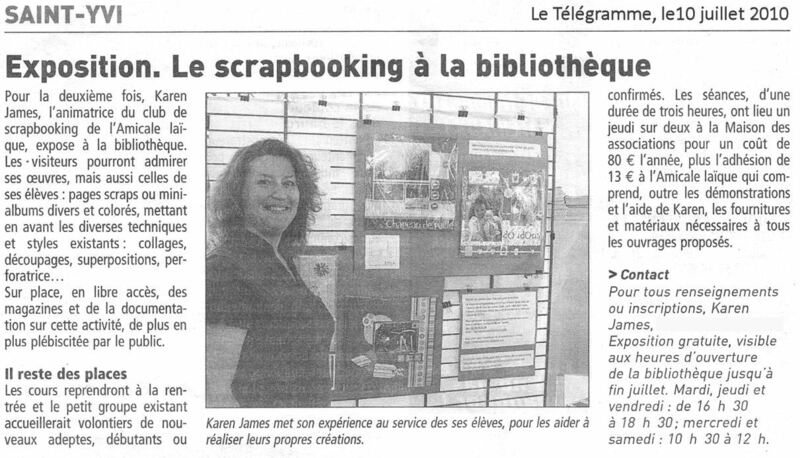 J'ai pris mon 'boutique' pour un super jour de vente et de scrapbooking. C'est le deuxième crop j'ai fait avec Manuela et elle est un bon prof. Cet album axé sur l'utilisation des encres Distress, même si je connaissais la plupart des techniques, j'en ai appris quelques nouveaux et adorait jouer avec les différents matériaux et poussés à utiliser les couleurs, je n'aurais probablement pas choisi. De plus, étant sur les anneaux, cet album a donné la liberté d'ajouter des pages et ensuite changer les choses en fonction de ce que je voulais faire. Je ne copie pas le travail des autres: C'est la leur, pas la mienne, mais j'aime à être inspiré et je suis heureux du résultat: Les couvertures sont très semblables à Manuela et les pages sont à la fois inspirée par la sienne et différente. Si vous avez la chance de faire ce crop parfois, je le recommande à fond. 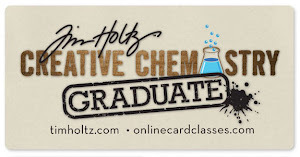 Used: Papers: Sultane, Inks: Distress, Adirondack, Versafine; Punches: Martha Stewart and EK Success; Stamps: Hampton Art, Inkadinkado, Tim Holtz, PaperMania; Cuttlebug embossing folder; Sizzix dies and other assorted/unknown stash. Challenges: Sketch Saturday; Kaboodle Doodles - Beach party theme; Papertake Weekly - Cute. J'ai crée cette carte d'anniversaire pour quelqu'un qui aime les pingouins. 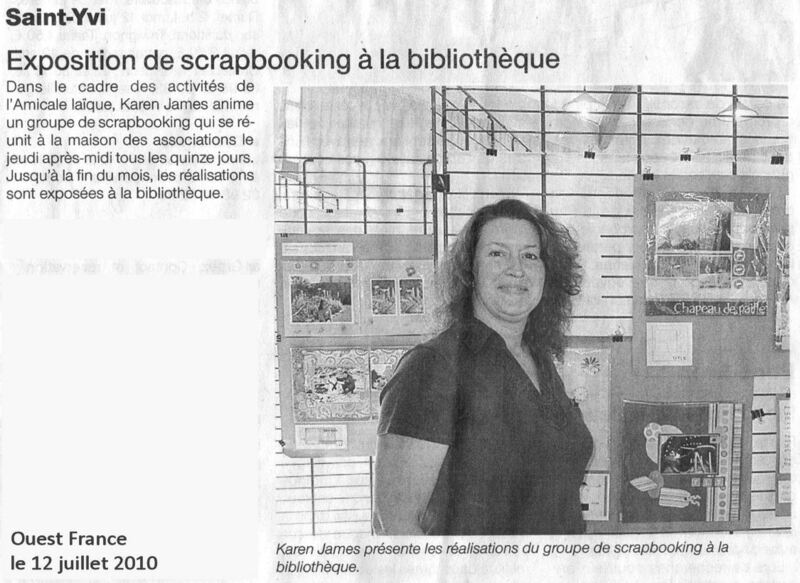 J'ai été heureux d'utiliser un peu plus des anciens papiers d'Imaginisce 'A Shore Thing' avec le tampon. Je l'ai tamponné et embossé en noir sur la carte nacré et j'ai coupé les deux couches avec Nestabilities sur ma Cuttlebug. Alors, je lui colorées à l'aide de mon encres vaporiser de Cosmic Shimmer mais j'ai pris le couvercle et utilisée un pinceau pour lui faire très joli et chatoyant. 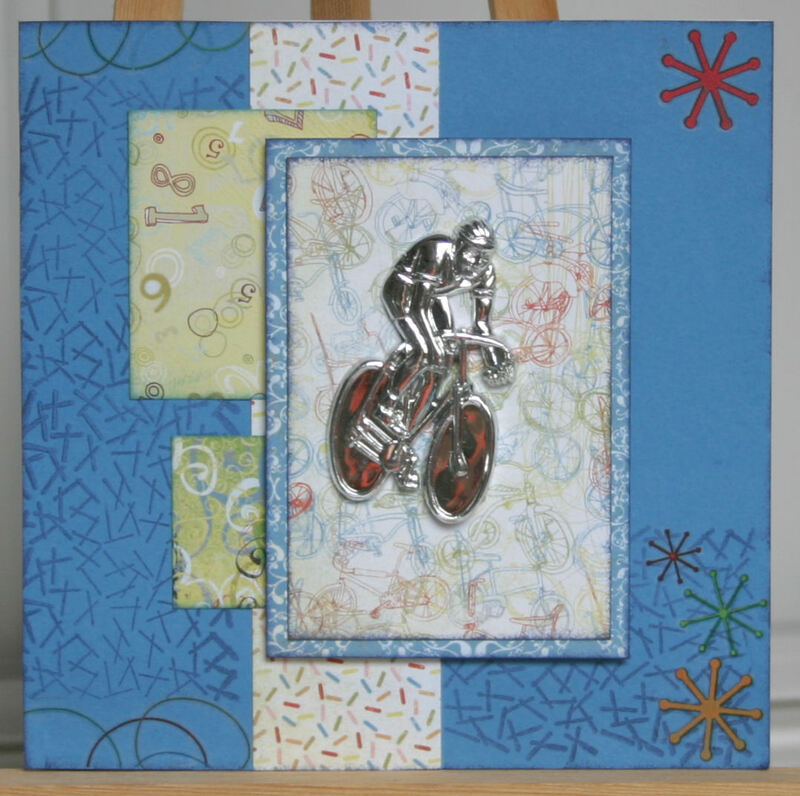 Had a request for a birthday card featuring a cyclist so made this one using the PaperPlay sketch as inspiration. I have no idea where I bought these cyclists from - It was too long ago - but they are popular as it is the perfect sporty figure whilst my cyclist stamps are too old-fashioned/childish/wrong size! 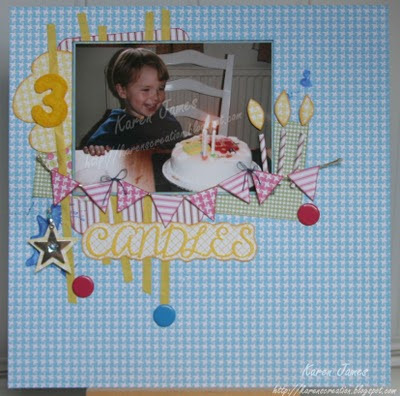 Also fits this week's 'Sporty' theme on Creative Inspirations and the Birthday theme on the Pollycraft blog. I will probably add a sentiment but I'm not sure if they want it in English or French yet! Used: Basic Grey 'Cupcake' papers and rub-ons; SCAP background stamps; ColorBox chalk inks; blue paper and cyclist from stash. I'm back after a little break in the UK to see the twins and our family. Also been preparing the exhibition I have in the local library this month: Newspaper articles below. I'll be back with some of the scrapbooking I've been doing but not yet had a chance to blog! Je serai de retour avec quelques photos des mini-albums que j'ai récemment terminé.